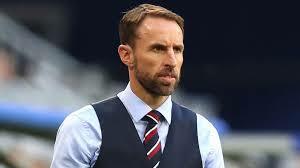 Gareth Southgate’s England squad will show loyalty to World Cup stars – Royal Times of Nigeria. However, it is likely Southgate will stay loyal to the team that got to the World Cup semi-finals, with players from the stand-by list for the tournament expected to be in contention. Jamie Vardy and Gary Cahill have told senior management they do not wish to be selected, while Phil Jones is a doubt after coming off with an injury during Manchester United’s defeat to Tottenham. James Tarkowski was the centre-back on the reserve list for Russia 2018 and is in contention, while Joe Gomez, who missed the World Cup with an ankle injury, is expected to return. The policy could also be good news for Adam Lallana, who has made just one substitute appearance for Liverpool in the Premier League this season, as England seek fresh attacking options in Vardy’s absence. Other standby members Lewis Cook, who has lost his starting place at Bournemouth, and Jake Livermore, now playing in the Sky Bet Championship with West Brom, will not be part of the senior squad. The other selection issue Gareth Southgate faces is who is going to replace injured Burnley goalkeeper Nick Pope. Team-mates Tom Heaton and Joe Hart have both started for the club this season and are well known by England management, while other options are also being considered. Southgate was in the stands to see Hart start during Burnley’s 4-2 defeat at Fulham, who restored Marcus Bettinelli to their line-up. Alex McCarthy has beaten former England Under-21 goalkeeper Angus Gunn for the starting position at Southampton and has also been watched by England’s backroom team. As for England’s youngsters, after only three Premier League games this season it has been difficult for any of the emerging stars to have enough playing time to put forward their case for senior selection. Foden, despite impressing in the Community Shield, has only come off the bench once in the league, Sessegnon was dropped for Fulham’s win on Sunday. Meanwhile, Sancho was a only substitute for Borussia Dortmund’s Bundesliga opener against RB Leipzig. James Maddison has impressed at Leicester during his first Premier League appearances but the squad announcement may come too soon for the creative midfielder.